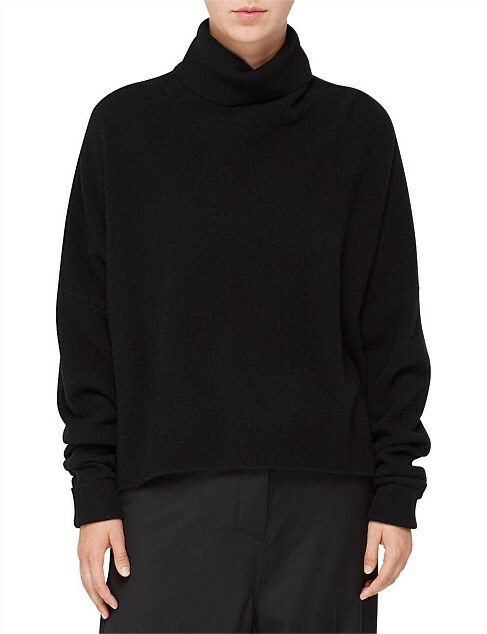 A classic, slouchy black turtleneck sweater in an ultra-soft wool/cashmere blend. Luxury meets comfort with the Twain sweater from Jac + Jack. Spun from a premium blend of merino wool and cashmere for ultimate comfort, this relaxed sweater features a roll over neck and cropped shoulders for a modern take on a timeless classic.